Mountain View, CA. – September 16th, 2013 – Speck, leading designer of award-winning, slim-fitting protective cases and covers for smartphones, tablets and laptops, today announced a unique iPhone case, CandyShell + Faceplate. It is the most sleek and stylish iPhone 5s/5 case available for all-over protection. It is available now on speckproducts.com and at AT&T stores starting September 20. 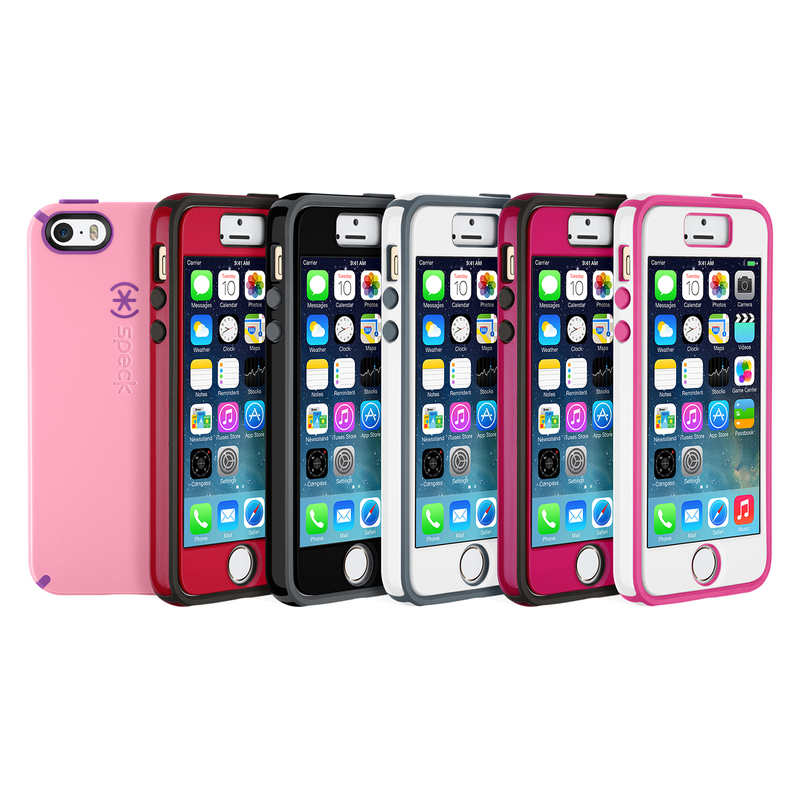 • Speck CandyShell’s patented dual-layer protection in a single-piece construction. The hard outer shell guards against impact, and the soft inner layer absorbs shock. • A protective faceplate, CandyShield, which applies easily and bonds to the device screen for superior touch response. This new technology, TrueTap™, delivers unparalleled touchscreen responsiveness. • A carefully crafted opening on the faceplate that makes the case compatible with Apple’s new Touch ID fingerprint identity sensor on the home button of the iPhone 5s. CandyShell + Faceplate will be available in the most popular CandyShell colors including Black/Slate Grey, White/Charcoal Grey, Pomodoro Red/Black, Carnation Pink/Revolution Purple, White/Raspberry Pink and Raspberry Pink/Black, each of which now feature the matching CandyShield faceplate for an additional and protective extension of your color and style. All Speck cases are lab-tested for proven protection against environmental factors and everyday bumps, drops and spills. Stay tuned to speckproducts.com for more details on CandyShell + Faceplate and the releases of our upcoming iPhone 5c cases. Whether the priority is secure protection without additional bulk, enhanced function, a unique sense of style or all of the above, Speck has all iPhone owners covered. Long live the machines. Speck is a leader in creating sleek and stylish cases with patented protection that celebrate the joy of innovation and self-expression. Since 2001, our eclectic team of inventors and color-lovers has been designing all of Speck’s products in-house. Speck’s award-winning cases provide lab-tested proven military-grade protection, slim-fitting designs and useful features so you can get more enjoyment from your smartphones, tablets and MacBooks. To learn more about Speck, visit speckproducts.com or follow us on Twitter, Facebook, Instagram and Pinterest.